Thanks to “Brexit”, the term the media is using to describe England’s secession from the European Union, homeowners in the United States are enjoying a financial bonus. Mortgage interest rates are dropping, which has led to a 21% increase in refinances. 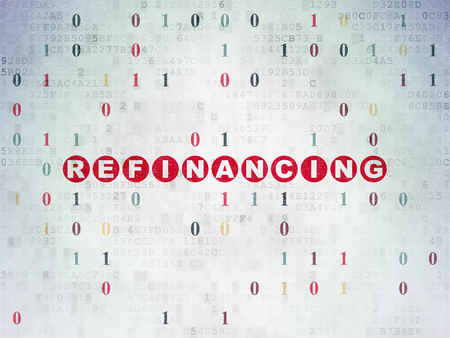 The number of applications to refinance has climbed by 113% in just one year. According to Mike Fratantoni, the chief economist for the MBA, or Mortgage Bankers Association, Brexit has brought the US back to near-record low interest rates considering the fact that jumbo rates are already at their lowest levels. The Federal Reserve has made changes to the mortgage bond market, which allows banks to offer qualified borrowers low interest rates. However, Fratantoni points out that borrowers shouldn’t wait to lock in their rates; he’s forecasting a rate of 4.8% by December 2017 – the highest since 2009 and 30% more than current rates. Why Does Brexit Affect US Mortgage Rates? Mortgage interest rates are driven by international and domestic investors alike. Mortgages are considered relatively stable securities, so when stocks start dipping and other investments aren’t as appealing, people will sink their money into real estate. What’s more, the yield on 10-year Treasury notes also plays an important role in interest rates and many foreign investors have turned to them in order to get themselves out of investments in England, China, and other parts of the world. The more people who buy these notes or who sink their money into real estate investments, the lower interest rates drop – resulting in the near-record lows today. Federal officials set benchmark interest rates based on several factors, with the US economy weighing the heaviest. Although the US economy is currently healthy and unemployment is at its lowest since 2007, very few jobs are being added to the economy, which leads some officials to believe that unemployment rates will rise once again. The Federal Reserve increased the benchmark by 0.25% in December, which marked the first such increase since 2006. The central bank anticipates two more increases due to everything from Brexit to a lack of inflation. Matthew Graham, the chief operating officer of Mortgage News Daily, believes that the US is seeing an all-time low. He cites that some lenders offered lower rates back in 2012 for highly qualified borrowers, but these were only available for a few days here and there rather than over a longer period of time. Today, American homeowners can enjoy a stable low interest rate, but they should act fast since these rates are forecast to climb due to economic changes, Brexit, and the removal of investment funds from real estate and Treasury bonds as the market begins to settle. Homeowners who are struggling to make their mortgage payments due to high interest rates at the time of purchase can certainly take advantage of this situation. Refinancing can lower payments significantly, which is great news for the homeowners and the lenders alike.